Three of our experts offer their favorite picks. Volaris makes the grade as one of our analysts' favorite airline stocks. Photo source: The Motley Fool on Flickr. Of all the lines ever penned by famed value investor Peter Lynch, this is the one that's probably the most famous. But Lynch wrote a lot of other lines about investing (and more than a few books as well) en route to earning 29% annualized profits for investors in the Fidelity Magellan fund between 1977 and 1990. "The person that turns over the most rocks wins the game." "Although it's easy to forget sometimes, a share is not a lottery ticket ... it's part-ownership of a business." With these words in mind, we've asked a few of our analysts to look at the stock market as it stands today, more than 7% cheaper than it cost just a month ago, and pick a few attractive businesses, selling for attractive prices, in the airlines sector. Here's what we've come up with. Adam Levine-Weinberg: Unlike most fund managers, Peter Lynch liked to look for small companies with great prospects but very little analyst coverage. 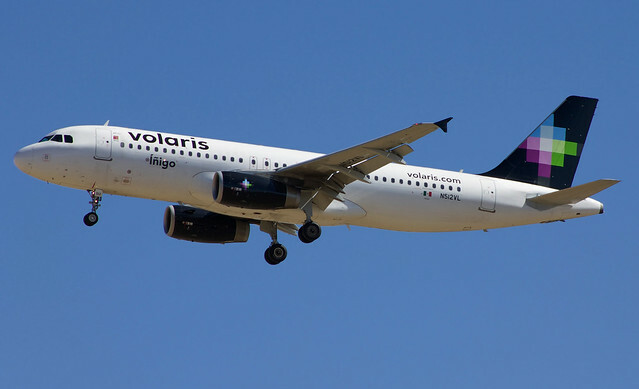 In the airline industry, few companies fit this profile better than Mexican budget carrier Volaris (NYSE:VLRS). Volaris has a market cap of approximately $1.5 billion: far less than the valuations of the half dozen or so airlines that dominate the U.S. industry. Meanwhile, only five U.S.-based analysts cover the company, whereas many of the top U.S. airlines are covered by 16 analysts. As a result, Wall Street has consistently underestimated Volaris' growing earnings power this year. Volaris' operating margin expanded by a stunning 18.4 percentage points in the first half of 2015. A combination of low oil prices, solid demand, and excellent cost control should allow it to continue its margin improvement in the coming quarters -- though probably at a more modest pace. The key reason investors can be relatively confident about Volaris' earnings prospects is that it has the lowest unit costs of any airline in the Americas. Last quarter, unit costs hit $0.072 per available seat mile, and this figure is continuing to decline. Volaris also has a long runway for growth. The airline has identified more than 250 routes that it could potentially serve profitably. It has a backlog of 61 aircraft orders to support growth well beyond the 56 planes it expects to have at the end of 2015. Volaris will use this growth to further reduce its cost structure, both by leveraging its fixed costs and shifting its fleet mix toward more cost-efficient aircraft. There may be bumps along the way for investors, but Volaris' ultra-low cost structure and large addressable market make this a great airline stock to consider owning for the long-term. Rich Smith: Not to jump on the bandwagon or anything, but my pick today, Copa Holdings (NYSE:CPA), also hails from south of the border. Way south. Panama City, Panama, to be exact. While not growing as fast as Volaris, Copa is already more profitable than its Mexican rival, boasting an operating profit margin of 10.9%, and a net profit margin nearly as good. Yet despite squeezing more pennies of profit out of each revenue dollar, Copa Holdings stock sells for a very attractive price. The stock costs only 7.2 times trailing earnings today. Analysts don't see Copa growing particularly fast, mind you. In fact, according to analysts polled on Yahoo! Finance, Copa's earnings are expected to decline over the next five years. But we know better. Earlier this year, Copa became (for a time, at least) Boeing's most valuable customer, when it was reported to have placed an order for 61 of Boeing's larger 737 MAX airliners for use on routes throughout South America. By virtue of this deal, Copa will become the first regional airline to get hold of Boeing's long-haul 737 MAX 9, and capture the fuel savings afforded by that aircraft. That doesn't sound to me like a business headed for "negative growth." To the contrary, it leaves me thinking that Copa will very likely outperform estimates -- and is a business worth owning. Dan Caplinger: Most airline investors think of the huge global players, but some smaller airlines have tapped into lucrative niches. For Hawaiian Holdings (NASDAQ:HA), the tourist market for flights between the U.S. mainland and Hawaii have presented a profitable opportunity, and the airline serves seven airports on the islands as well as connecting to key cities in North America and the Asia-Pacific Rim. Hawaiian Holdings has several ways it can grow over time. Service to key markets like Beijing, Seoul, and Tokyo let the airline tap rising interest from travelers from Asia, especially as China's middle class emerges and seeks to travel more extensively. At the same time, the airline has taken steps to modernize its fleet, hoping to use new aircraft models like the Airbus A321neo to improve fuel efficiency for its flights from the U.S. West Coast and compete more effectively with other airlines offering service to the Hawaiian Islands. With the stock trading at a forward earnings multiple of just nine times expected 2016 earnings, Hawaiian Holdings has plenty of room to move higher if it can execute well on its internal cost-cutting efforts while finding the optimal balance in its flight schedule to serve its best markets. And there you have it, folks. We promised you three airline stock ideas for value investors, and we've delivered. We think they're all pretty spiffy ideas, but what you do next with these them is up to you. One thought? Before pressing any "buy" buttons, click on over to our Motley Fool discussion boards, and see what other investors think of these stocks. Two heads are better than one, and the tens of thousands of Fool readers populating our discussion boards are even better than that.